These are common phrases from losing coaches. Excuses said publicly to admonish their own egos for not working hard enough in the right ways. Yes, talent is a real thing, but what are you doing to find that talent at the school you are at? 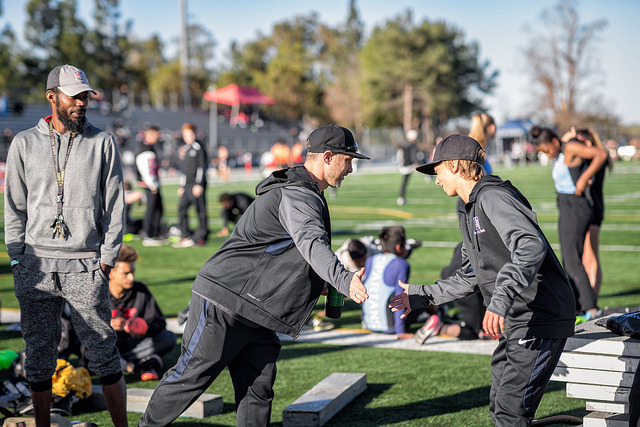 What are you doing to train athletes to reach their individual potential? One question you must ask yourself and your program: Do kids even want to play or compete for my program? 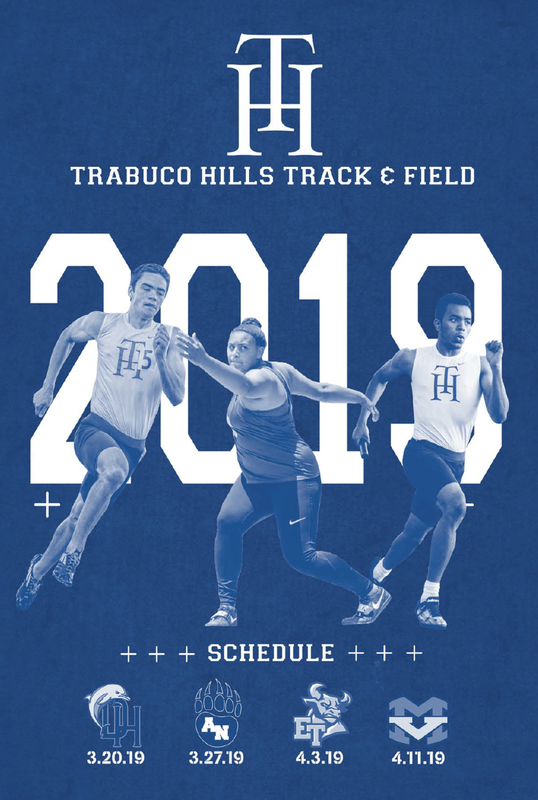 Almost by accident, my staff and I took it upon ourselves to find out who is the fastest boy athlete at Trabuco Hills High School. We went to the Basketball program, Soccer Program, Football program, Off-Season Track program, and the entire student body and asked everyone who wanted to run a 40 yard dash. We had a very large turnout, thanks to flyers around campus and constant reminders to the student body on morning announcements. The coaches of Football, Soccer, and Basketball loved the idea of taking a day off, while I worked in a speed day of training with their athletes. I recorded every mark, ranked athletes within their sport and grade level, and then published those results online and out front of my classroom. Students have been checking their marks and how they compare with their peers every day outside my classroom! 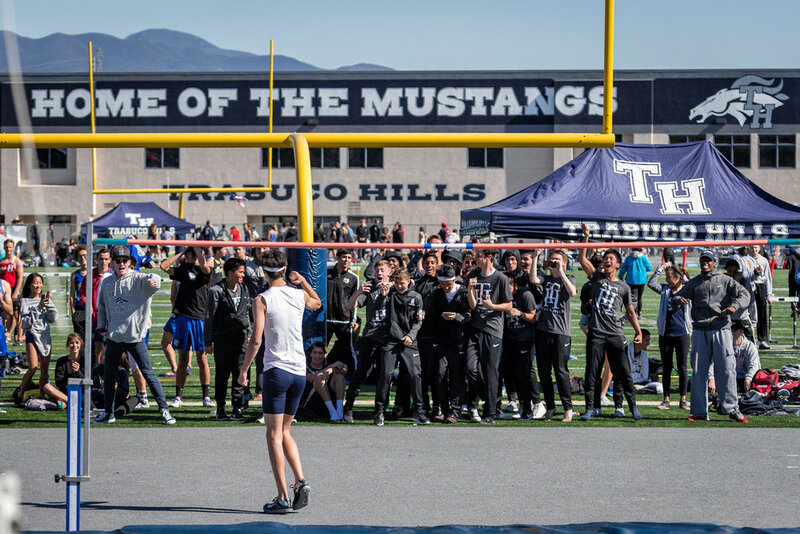 We have created a culture of speed at Trabuco Hills High School. (below is a quick snapshot of some of the results). I personally have timed 1000s of 40s in the past few months. After these young athletes race, they want to go again, and then come back the next week to improve on their time. They are not satisfied. In fact, they have the racing bug! It is only November and I have a school full of young sprinters who are eager to get faster! Athletes are reminded that not everyone is a sprinter. However, they are being asked to be the best version of themselves with the gifts and abilities they have been given. Whatever their time - do they see improvement? Do they see themselves getting better month to month or even year to year? This allows moments of continued motivation in an atmosphere of good competition. By doing this you are creating a culture where athletes are excited about improving. Do students want to be part of your program? Is it evident to everyone what you are all about? Does your fan base brag about your Program? Every season we start the hype with a commercial for our school and outside community to know what to expect. After we aired this video on the school announcements and posted it to social media, students (and faculty) ask where they can sign up! The athletes already on the team also feel a strong sense of pride that they are part of something special. Side note on Team and Fan Gear: Make sure your gear looks good! REAL GOOD! Your athletes walk around campus and sit in classrooms all day. Your fans are around town wearing your gear. They are literally walking billboards. My son loves Oregon Football. I asked him how good they were this year and he said he didn’t know but he thinks they are very good. “Why,” I asked. “Because they look so cool.” Look the part and then be the part. The days of wearing gear that is a stock item at your local 3 for 10 shirt store is over. It is worth the investment to ensure your team feels and looks good. Chances are you will recruit others by just looking the part. We have a Black Uniform that I will pull out every once in a while. When the athletes put it on, they run faster. It is a fact! Ironically, when you look good you also compete good. By recruiting in your own school, putting time and effort in to ensure that everyone that attends high school at your school knows that your program is LEGIT, people will come. Recruit from within. Find your talent and create more of it. Train and keep a high retention rate from year to year from Freshman year to Senior year. So, the next game, meet, or competition you can say that this is the best our school has to offer. Now just try and beat us! That is a good feeling.